On the Results page overview, the user can view jobs in a more detailed way. Records presented on this page can be filtered and validated manually or automatically. Learn how to validate your job results manually in this article. Learn how to validate your job results automatically in this article. Expand or close the duplicate records. Job Filter. Learn more about results filter in this article. 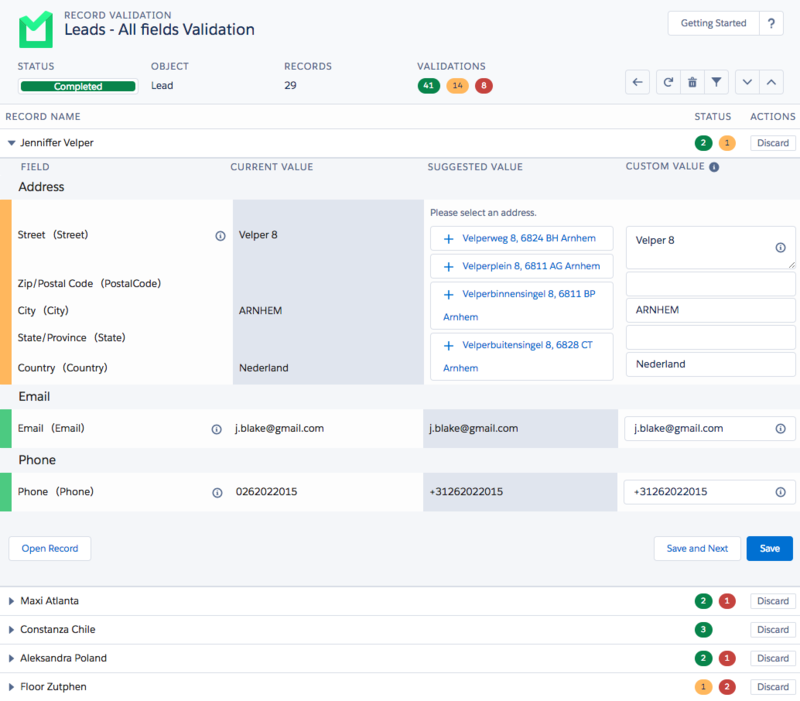 Return to the Record Validation Job Overview page. Status Sum of every record status in this job. Red Records that failed validation because of unusable data. Amber Records with validated suggestions.